Thank you for choosing Hotel Mar de Cortez in Cabo San Lucas. You will be contacted either by phone OR by email once this information is received by our Reservation Office. If you need immediate information call our office at 831-663-5803 or 800-347-8821 (US & Canada only) or 1-855-723-7012 International Toll Free. Office hours are 9-9 Monday-Thursday, 9-5 Fridays, 9-3 Saturday and Sunday PST. We check our email periodically after hours and on weekends and holidays. 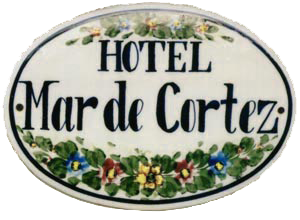 I'd like to receive emails, updates and newsletters from Hotel Mar de Cortez. If you are requesting availability and need time-sensitive information for booking your airline tickets, etc., please say so. If you do not get a reply in due time, please contact the office directly. Call 1-831-663-5803 or 1-800-347-8821 (Toll-free 800# good in USA and Canada only) or 1-855-723-7012 International Toll Free.